As a security officer on an interspecies ship, Growlan Raskli's experienced in heading off species-specific aberrant behaviors in order to keep the peace. But when her captain asks her to find out what's bothering their sole human crew member, Raskli's out of her depths. She hardly knows anything about humans and she's not a psych doctor. 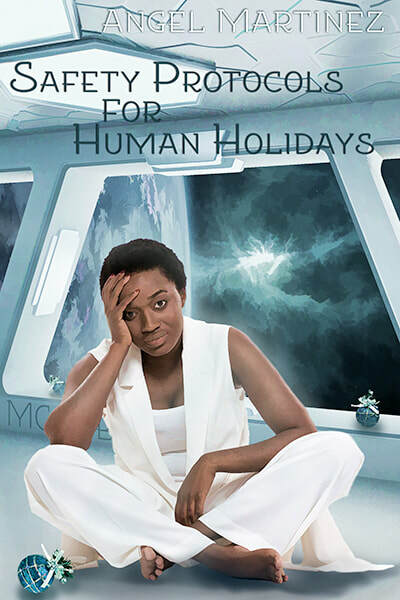 Something's definitely upset Human Jen, something to do with human holidays. The more time Raskli spends studying humans and interacting with the intriguing Human Jen, the more personal the assignment becomes. Determined to lift the dark cloud from Human Jen, Raskli will do whatever it takes—within safe parameters, of course.